Desktop apps stores are dead, and their mobile-oriented equivalents are the future. That's the message from Canonical, which has quietly made clear that it intends to jettison the Software Center in Ubuntu Linux to focus on mobile apps for Snappy Ubuntu Core. Desktop apps stores are dead, and their mobile-oriented equivalents are the future. That’s the message from Canonical, which has quietly made clear that it intends to jettison the Software Center in Ubuntu Linux to focus on mobile apps for Snappy Ubuntu Core. 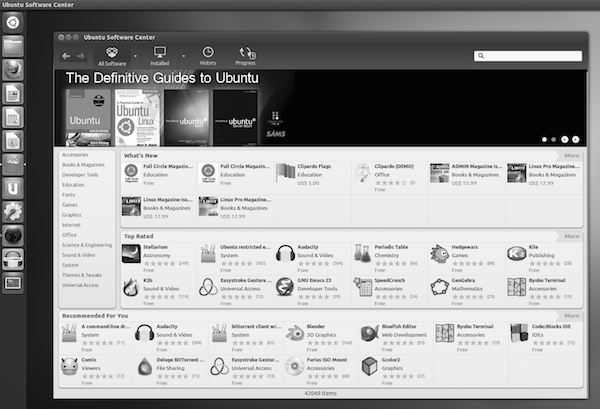 Then, in 2009, Canonical announced plans to replace Synaptic with an app of its own making called Ubuntu Software Center—which the company at first tried to name the Ubuntu Software Store, to the dismay of many users. The Software Center did most of the same things as Synaptic, but it also offered ways for Canonical to promote certain apps to users, including some that were available for purchase. For most desktop users, none of this is likely to matter too much. Synaptic and other graphical front ends for adding and removing programs on desktop versions of Ubuntu remain available. But the bigger item of note here—and what Canonical has not yet said in an entirely explicit way—is that Ubuntu developers appear poised to move further away from the Debian-based package management system as a whole. Instead, they’ll be focusing on Snappy, which uses a separate, transactionally updated software-management platform.